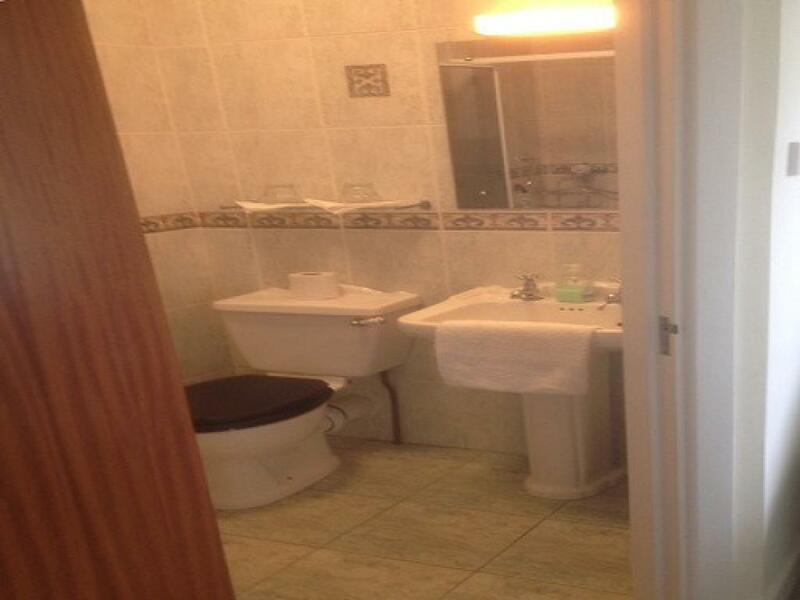 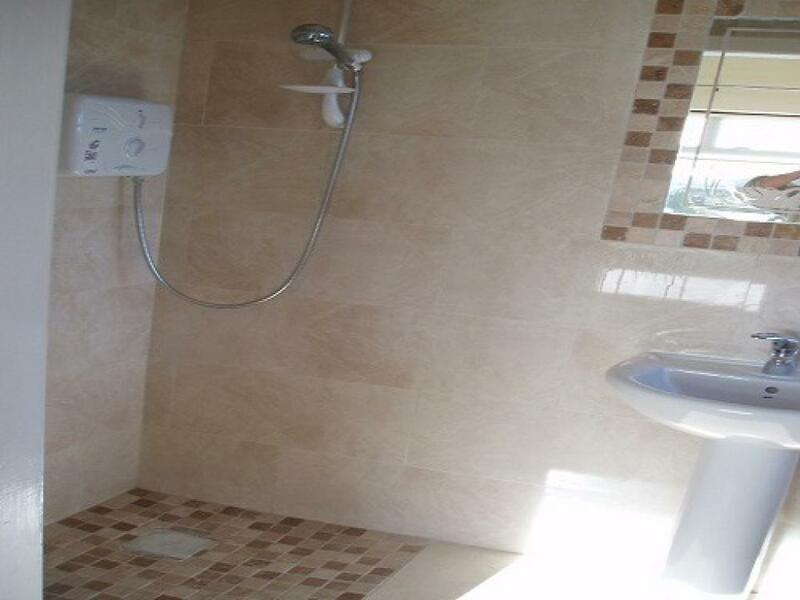 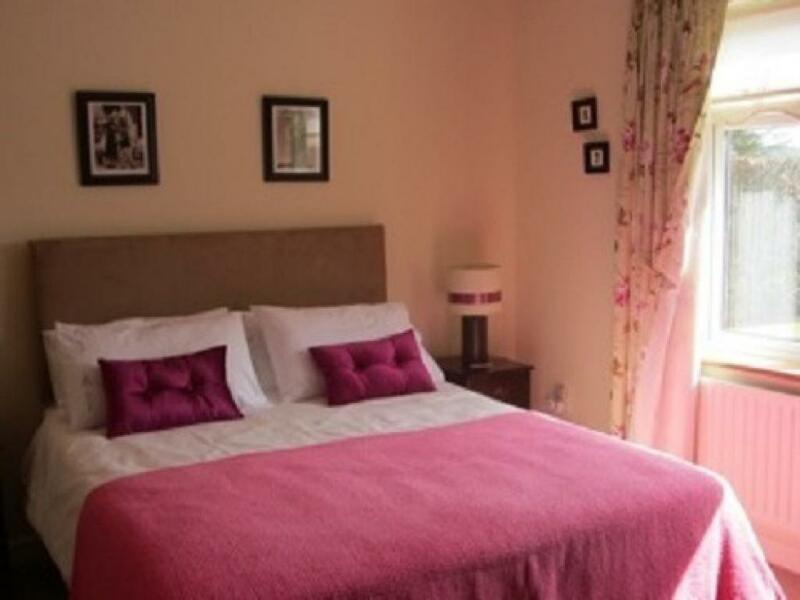 Large double - en-suite with walk in shower - King-size bed. 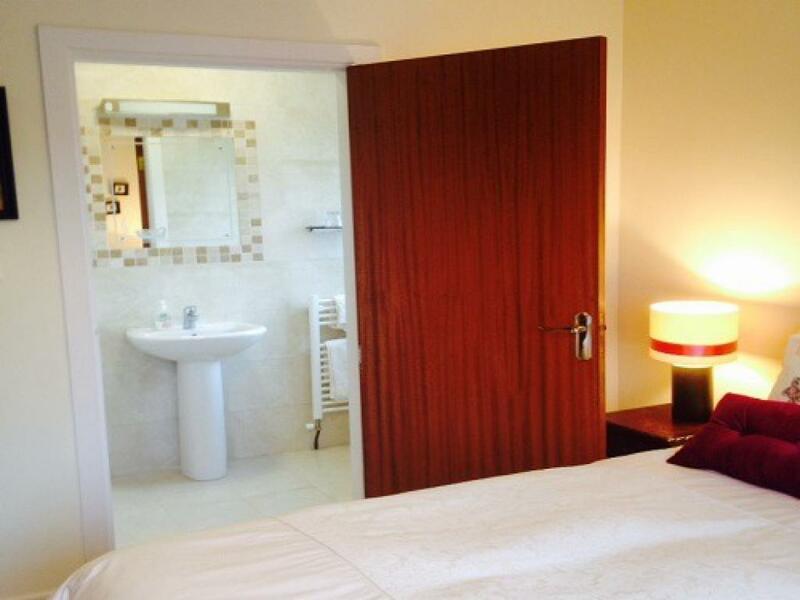 (TV & Tea making facility in separate Lounge area). 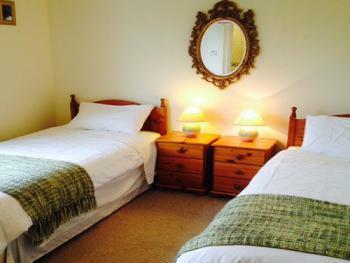 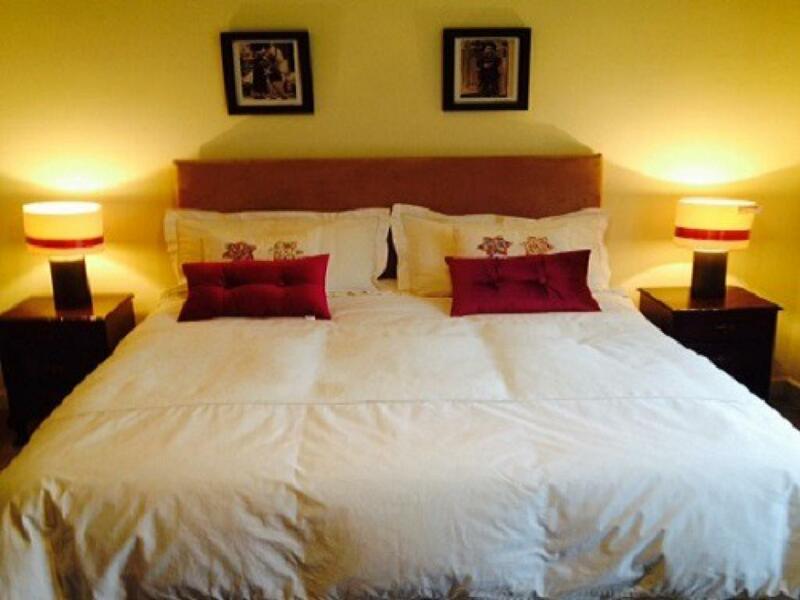 Two comfortable single beds in this large (12ft.x11ft) room,with en-suite power shower and toilet.